David Back on the Ski Slopes! YES! 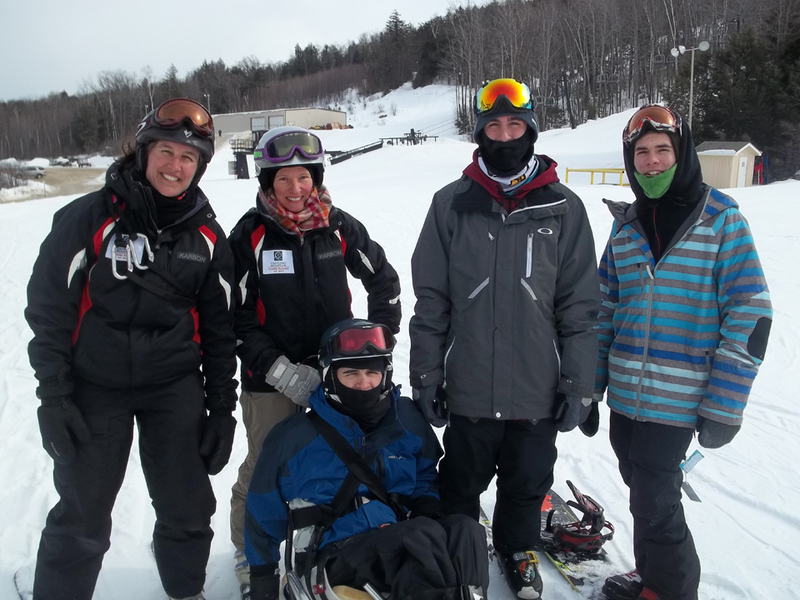 On Tuesday, February the 25th, with the help of the good people at Crotched Mountain Accessible Recreation and Sports program (CMARS), David was back doing one of his most favorite things, skiing on snow. While David was getting ready to ski I went out to get a couple of runs in to get my legs warmed up. On my second run down I stopped to rest near the bottom of the main lift. Above me I heard, “DAD, DAD, DAD”. I looked up to see David going up the ski lift. He had a HUGE Smile on his face. He was in his element, on a mountain, on skis, lots of snow, with friends and looking forward to his first run. David enjoyed skiing the mountain, skiing the jumps in the terrain park and hanging out with friends. It was very hard for me to even stay close to him. He is still a much better skier than me. A big THANK YOU goes out to the people at CMARS Adaptive Snowsports Program for making this day happen. To learn more about CMARS click here. Check out their Skiing and Boarding program, and a picture of David Skiing the mountain with Dan, by clicking here. Overall David is doing well. He has had issues with a sore back and very dry skin on his elbows. He uses his elbows to help lift himself while sitting in his chair. As always he is moving forward and working his way through these issues. His goal is still to get out and thank as many people as possible for their support. However, weather, schooling and other physical issues have been holding him back. He is still working out and is getting stronger. Ideally he would like to get out in his new manual wheelchair so people can see how their support is impacting him. This afternoon David’s friend Sam is taking him up to Granite Gorge to see some of the Snowmobile Hill Climb that is taking place there today. David & family are all very grateful for all of the positive support David has been receiving. Thank you for your prayers, love and support. Click her for more photos. 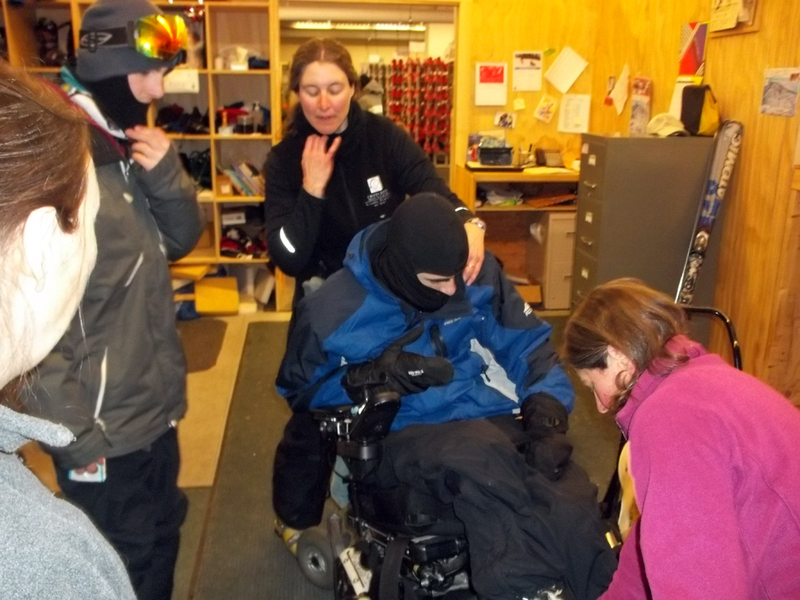 This entry was posted in UPDATES FROM THE HUDGIKS and tagged Adaptive Skiing, CMARS, Crotched Mountain, David Hudgik. Bookmark the permalink. ← Tubing at Granite Gorge!